Just starting out trying to hack again(I wasn't good or knowledgeable the first time). I'm hoping to get some good skills, and make this an awesome hack! There's a lot of things I'm having a hard time understanding, and I will be asking lots of questions from the community, slowly, but surely I will make progress! Without further ado, the details! It is your twelfth birthday. And your twin brother's too! You guys are huge fans of Pokemon and huge rivals and have been your whole lives. You guys have just woken up and are ready to get your very first Pokemon! You are excited to be competing with your shared Rival who left a year before you. But before you leave, there's breaking news! You stop to watch and find that an Absol has appeared in your very own town of Taliesin. This is the universal sign of imminent danger. What is to come? The young twins go to Professor Aspen to pick between the starters of their region: Ralts, Larvitar, and Aron. 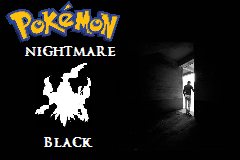 Shortly after they receive their brand new Pokemon, a mysterious man shows up and puts Cedric to sleep with a Darkrai, and starts to control him with Sleepwalk. In defense of your brother, you get prepared to battle! But instead of the mysterious man, Darkrai turns Cedric to face his twin. Just after the battle with Cedric, the mysterious man departs with Cedric by his side. It is now your journey as the hero to become strong enough to rescue your brother, and find out who this man is and what his goals are. HMs changed to actually be strong enough and worthwhile to have.